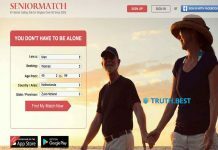 Home Dating sites Grindr Review – Is This Queer Dating Platform Safe? How Much Does Grindr Cost? How To Delete Grindr Account? 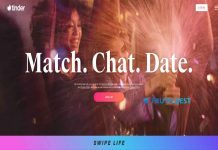 Online dating community is expanding every day. There are a lot of new exciting sites that keep providing the best dating experience to their members. 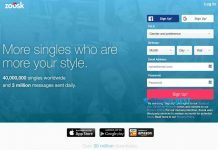 However, if we look back, we will see that the first online dating communities were created more than fifteen years ago. Grindr is one of them. Started as a geosocial networking app, Grindr turned into popular queer dating platform. You can download it from Google Play and App Store for free. Continue reading to find out more about Grindr. Grindr was the first app designed for gay dating, which launched in the iTunes App Store. From the year of its launch (2009), till today, Grindr has turned into the largest queer community available in 192 countries. Geo-targeting feature and straightforward sign-up process, has turned into Grindr a popular dating service. So many old users come back hoping to discover new matches. The sign-up process is limited to some basic questions. You need to provide your e-mail, add your birthday and username. Next, you will be required to denote preferred age-range and sexual interests. Once your account is created, you can start chatting with other members. You can use the geo-targeting feature for finding new matches nearby. In fact, geo-targeting was initially developed by Grindr and made this dating site stand out among a bunch of others. Grindr didn’t add unnecessary features and decided to keep their service straightforward. Thus, you can share your location with your future date to show your real intentions to meet them. You can also send photos. But only Xtra users can share more than one photo at a time. Grindr Xtra covers many useful features, such as personalized push notifications, online-only view, additional filters, and unlimited blocks/favorites. Moreover, you will be able to view up to 600 members. Upgrade from free membership to Xtra will cost you $14.99. If you are not sure about Xtra membership yet, you can opt for Xtra lite. Lite will unlock up to 300 users profiles and block all banner ads. To remove your account on the Android device, go to Settings of your Grindr profile. Tap Deactivate and select Delete Account. If you are an iPhone user, go to your profile and tap Settings. Scroll down to the bottom and tap Delete Profile. Tip: Before deleting your Grindr profile, make sure to cancel your Xtra subscription first. Grindr is thought to be the largest online dating community. Average Grindr users log in to the app almost 18 times a day. With a simple interface and minimalist features, Grindr keeps connecting over 7 million users worldwide. Between 2014 and 2016, Grindr has leaked some users' exact locations. The service was also criticized for sharing its' members HIV status without the prior consent of the users. These obvious security faults make it impossible for us to recommend Grindr as a safe platform for online dating. 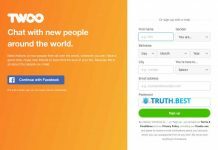 Previous articleFriendFinder Review: Is It Good for Finding True Love?